This is the first green ink I have ever used and I have been thoroughly impressed. For writing it lays down a great shade of green, it isn’t to pale or too dark. I did notice that at the end of some of my letters or words there was a much darker shade of ink laid down. It didn’t happen all the time and I am unsure if this is a issue with the properties of the ink or my fountain pen. 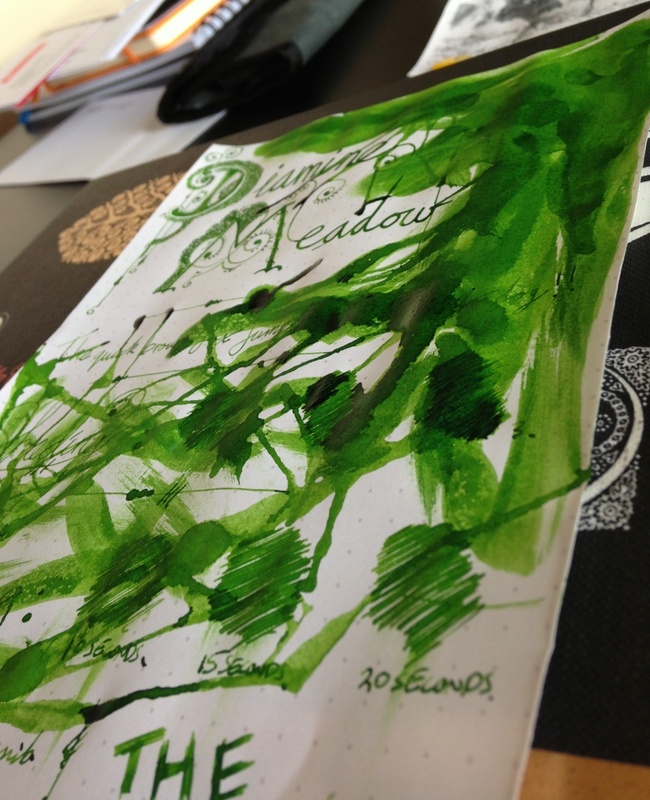 There are great depths to the shading with the Diamine Meadow. 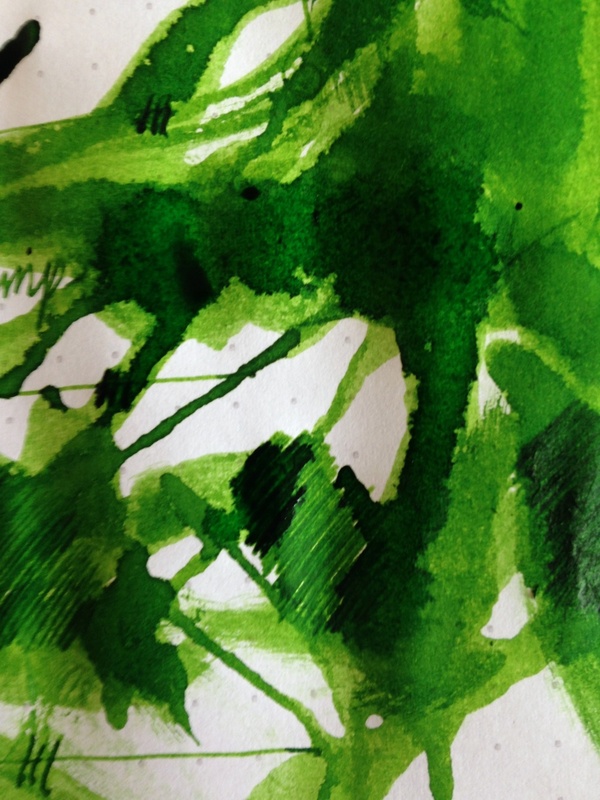 Playing around with the ink on this page shown me that you can shade a really deep emerald green which looks wonderful. Drying times are pretty impressive and around the 15 second mark the ink was almost dry. This is a ink I would love to use as an everyday ink but I can't really work out how practical this would be. Is a green ink acceptable as a everyday ink? As this is my first green ink I would love to know if there are any out there that you would recommend? On a side note…. I might have found my new daily carry ink. You will have to wait to find out what the is!